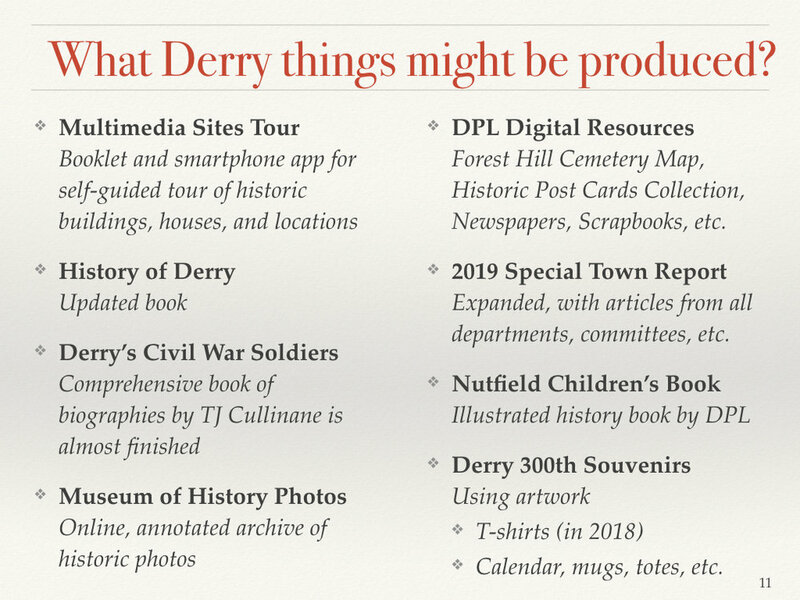 This page includes meeting schedules, notes, and info on Celebration planning spearheaded by the Derry Heritage Commission. 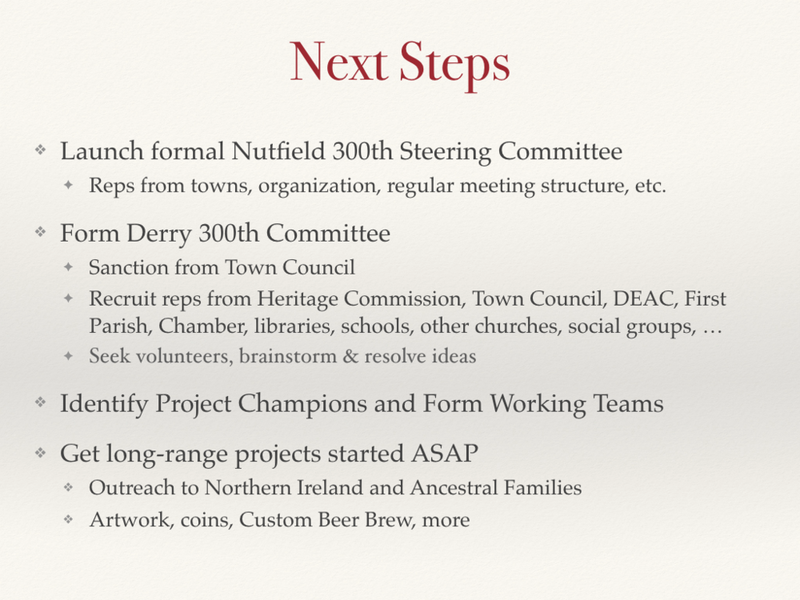 Move that the Town of Derry form a Nutfield 300th Anniversary planning committee, chaired by the Heritage Commission. This committee will actively coordinate all interested groups and citizens in the area interested in participating in the Celebration, and return to the Town Council for reporting and budgetary requests. 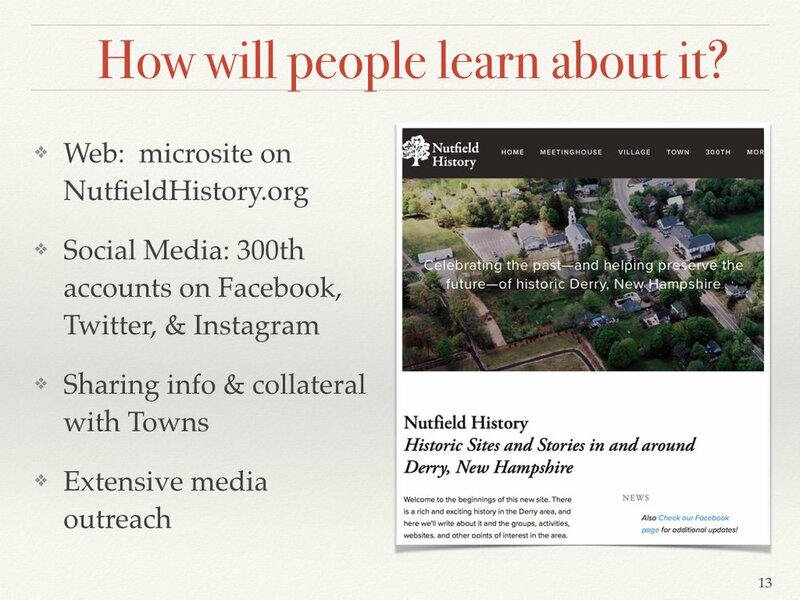 The Heritage Commission plans to return in early fall 2016 with a proposal for the charter and make up of this new committee, and to then formally begin preparations.